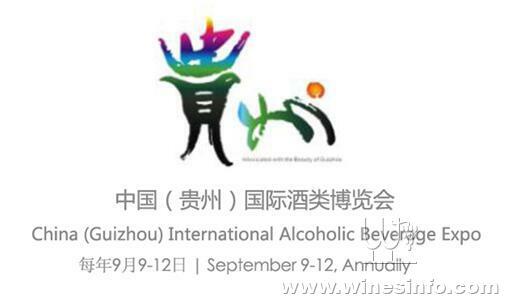 China (Guizhou) International Alcoholic Beverage Expo (hereinafter “Guizhou Wine Fair”) , is a globally-known professional trade show sponsored by the Ministry of Commerce of China and the People‘s Government of Guizhou Province with the approval from the State Council of China. This Fair aims to reinforce the exchange and cooperation in between specialists of alcohol industry from China home & abroad. 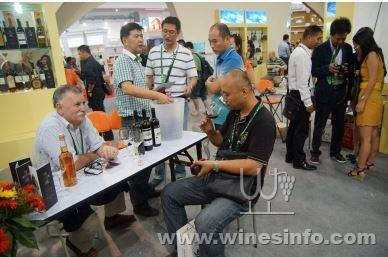 Guizhou Wine Fair has been organized annually with success from 2011 to 2017. With 7 years' development,it has become an important platform of exchange, trading and investment for global alcohol industry. Awarded as one of the “Best 10 Exhibition Events of China’ in 2015, it ranked No.1 among those professional exhibitions likewise. It also passed the UFI certification in the February of 2017. In the past 7 years, this Fair has witnessed the presence of 2,000+ exhibitors from more than 40 countries and regions each year,including France,Italy,Spain,USA,Australia,New Zealand,Moldovaand,South Africa, as well as nearly 1,000 exhibitors fromChina. On an annual basis, the number of trade visitors from China domestic and abroad amounted to 200,000, On-spot visits reached to 200,000 person times on average, and the trade value singed exceeded 100 billion YUAN. The Event programme featured a lot of themed activities, such as Traders Conference, Summit of Alcohol Industry, etc. This Fair provides a platform for building relationship, finding new opportunities, setting up business network for producers/trading companies in the alcohol industry from all over the world. Growing toward a world-famous international trade show with Guizhou special features, Chinese characteristics and world standards. It is becoming an international, market-oriented, professional, brand event for trading and investing attraction with long-term effects, that pushed forward the economy of Guizhou to develop by leaps and bounds. Why participate in this Fair? 2, To check China market combining with further trip inside China to meet potential importers/distributors ( in 2018, we shall have 300+ wine Importers exhibiting in Hall 1 Imported Wines Hall, and we shall have 1200+ Chinese Spirits producers, most of them are Guizhou's Strong Spirits (Baijiu) Producers and Brand Operators, with strong financial power who are looking for new business opportunities with imported wines to fill in their existing distribution channel. 1, To help your existing Chinese importers/distributors to look for sub-regional distributors in Southwest China and from other part of Chinaas some Chinese importers will exhibit here. 2, To experience the craziest on-site selling and witness the strong purchase power of Guizhou People, while they consume the most expensive Baijiu of China-- MAOTAI, our exhibitors can sell as from 50 cases of wines up to 6 pallets of imported wines during 4-day fairs. thus Guizhou Wine Fair became more and more important for those Wine Importers from Guangzhou, Shenzhen, Shanghai, Beijing and other cities to sell their stock and get cash flow. 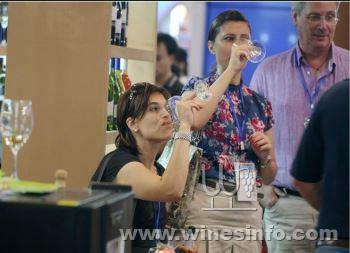 Guizhou Wine Fair, is worth to participate. Invest half less than any other wine fair, but gain much more. 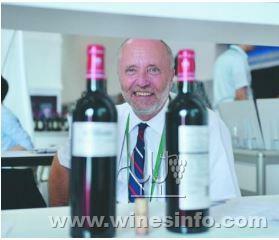 For a detailed brochure of Guizhou Wine Fair, please don't hesitate to contact us.